The Saskatchewan Government and General Employees Union says its members have voted in favour of a strike mandate. Members of the Saskatchewan Government and General Employees Union's (SGEU's) Public Service/Government Employment bargaining unit have voted in favour of a strike mandate, the organization announced Wednesday. The mandate comes in the midst of an ongoing contract dispute which has seen the union without a collective bargaining agreement since October 2016. The bargaining unit represents 12,000 government workers, including social workers, lab technicians and corrections officers across the province. 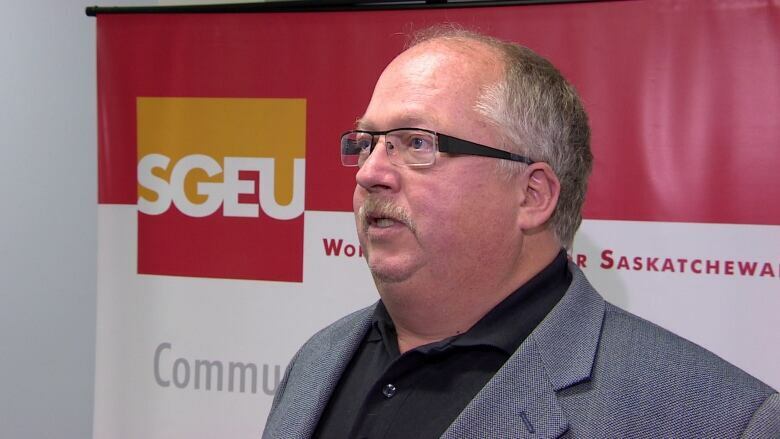 "There's always a feeling of insecurity when you're working without a contract, a little bit of a feeling of betrayal with your employer, that they're not prepared to move forward with a new contract," SGEU president Bob Bymoen said on Wednesday. Bymoen said the biggest issues are related to wage increases and benefits. He added that he hopes the strike mandate, which does not mean immediate action will take place, tells the government that a collective bargaining agreement needs to be taken seriously. The Saskatchewan government provided a statement when asked for comment. "We respect that this is part of the collective bargaining process. Our next steps include negotiating an essential services agreement to ensure a level of service is maintained in critical areas of need for our citizens. We continue to hope for a negotiated settlement," the government statement said. A press release issued by the SGEU characterized the province as unwilling to negotiate after a proposed deal was voted down in April. It was that unwillingness that necessitated a strike mandate, the release said. "Hopefully the [province] will meet with us. We're prepared to meet at any time pretty much," he said. That goal was not met. "The government's flip-flop on the 3.5 per cent definitely sends a question out there of how much we can trust what they're doing, which makes it tougher to bargain," Bymoen said.